This quick form collects the simple facts you need to know who’s coming and what interests your participants most so you can plan accordingly. 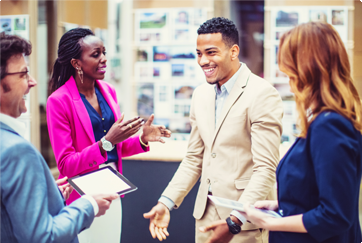 You’ve made your event plans, secured a venue, and confirmed your presenters. Awesome! But… will people come? 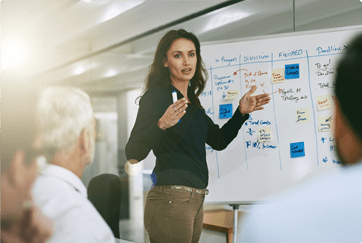 Event registration is a critical piece of planning that can have a huge impact on any last-minute changes and accommodations you may need to make. 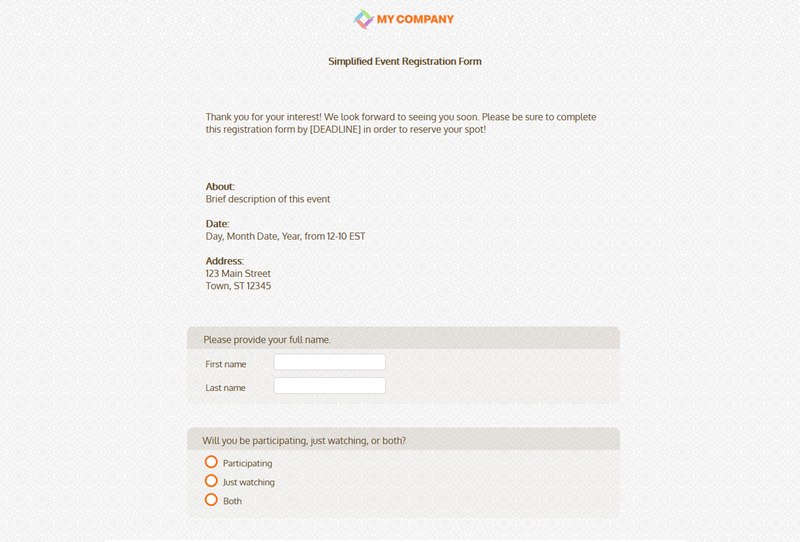 Use an online Event Registration Form to streamline your processes and get the data you need as quickly as possible. From catering to venue, plenty of aspects of your event are impacted by the number of people who register. A simplified registration process has a big impact on your bottom line, too. 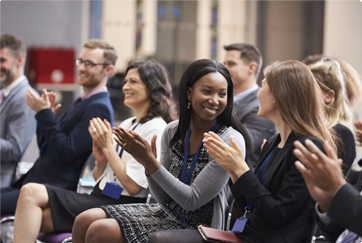 According to a PCMA Convene Meetings Market Survey, 46% of event revenue comes from registrations — compared to 23% from exhibitors and 19% from sponsors/donors. With numbers like that, you can’t afford to take chances with your registration process. 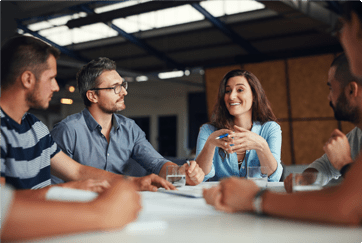 Long before they show up, your participants can help you to make the right decisions to accommodate everyone, meet their needs, and satisfy all of your goals, too. Be sure to ask the right questions at the right time, and you’ll be set.